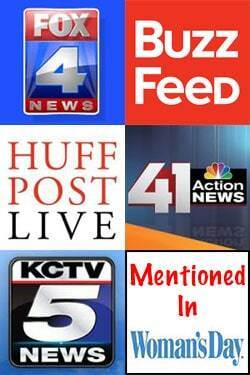 February 11, 2016 by Cynthia W.
All travel expenses are covered by the studio, but all experiences and excitement are 100% mine! Isn’t it amazing how your entire world can get flipped turned upside down in 2.5 seconds? Usually, people use that terminology to refer to something bad happening… but it can go either way. For instance, you can just be chasing after your kids on a regular mundane afternoon in the midwest when….. you get a phone call asking to cover the God’s Of Egypt Red Carpet in two weeks. 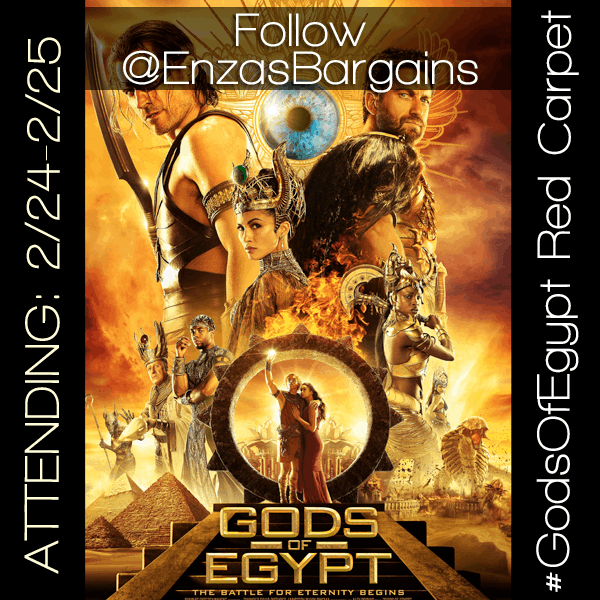 That’s right, I’ll be heading to New York to cover the Red Carpet Premiere of God’s Of Egypt, on behalf of Enza’s Bargains! I am SOO excited! Not only is this my very first trip to New York, it is my first Red Carpet Event ever! Had my husband call his boss (after hours) and request the days off work (did I mention I’m taking my husband as well?). To say that I’m excited would be a complete understatement. Not only is the trailer for this movie amazing, Gerard Butler happens to be our absolute favorite actor EVER! I can’t wait to catch the movie, and hopefully more than a few star encounters on the God’s Of Egypt Red Carpet and at the Exclusive After Party. Of course, I’ll be sharing every moment of the fun with you all! Travel – My Husband and I will be traveling to New York on February 24th. Hotel – We will be staying at a super posh and beautiful hotel in the heart of the city! Event – We’ll be walking the Red Carpet, as well as attending the Exclusive After Party on February 24th with the stars of the movie! We’ll be returning home on February 25th, eager to tell you all about it! Of course, we’ll be sharing with you throughout the journey! 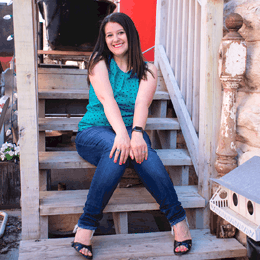 **All of my social media post on @EnzasBargains will be followed with ~CW so you’ll know it’s me! Summit Entertainment presents a Thunder Road Pictures / Mystery Clock Cinema production, an Alex Proyas Film. And, most importantly… STAY TUNED! You can also catch this movie in theaters everywhere February 26th! How exciting! Can’t wait to hear all about this movie. Congrats on getting this rockin’ gig! I suppose we’ll see your post on it–I HOPE we will! Have a terrific time and we’ll see your post after, right? Gods of Egypt looks like it’s going to be one fantastic movie. I love action films loosely based on historical concepts. I think they’re so much fun! Wow, what a cool opportunity! I haven’t heard of that film yet, but I’ll have to check it out! We find Egyptian history to be fascinating. What a great opportunity! Have a fantastic time! looking forward to reading your post after the event! I am sure it will be great fun! Congrats!